University of Wolverhampton celebrating 21 years of university status.Offering the following courses for January 2013 intake. MA Voluntary and Public Sectors"
Postgraduate research in Humanities: Linguistics"
MDX happy to inform you that we will be accepting 70% in Standard XII to fulfill the English Language requirements for the January 2014 intake. International Baccalaureate qualification score 4 points at Higher Level or 5 points at Standard Level. 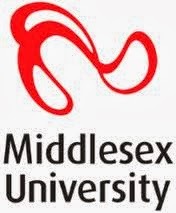 For the complete list courses offered by Middlesex University for January 2014, please click the following link. 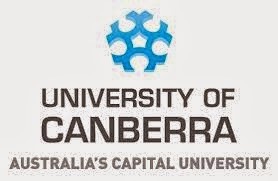 The University of Canberra has entered the world’s top universities in the bracket 601-650, based on QS World University Rankings for 2013-2014. This year QS cuts off at 800, and for context you might note that there are said to be over 15,000 universities and research institutes in the world, depending on what one includes. This follows on from QS Subject Rankings earlier in the year which placed our work in Politics in the 101-150 bracket and our work in Agriculture and Forestry (which will include applied ecology) between 151 and 200. … you can sort by region. In Oceania (mainly Australia and NZ) there are 40 ranked universities. We are at 27 of the 31 Australian universities to be ranked. “I think UC can be proud of this achievement. We have a long way to go, and in our strategic plan we are aiming for a more exacting ranking by 2018 in The Times Higher Education Top 100 Under 50 years, but we are only 23 years old as a university and have never been specially funded for research. Furthermore, these exercises have to rely on lagging data, and we know that our underlying performance and reputation are improving. Canberra will be a major destination for study and research, with two world class universities headquartered here,” Vice-Chancellor Professor Stephen Parker said. 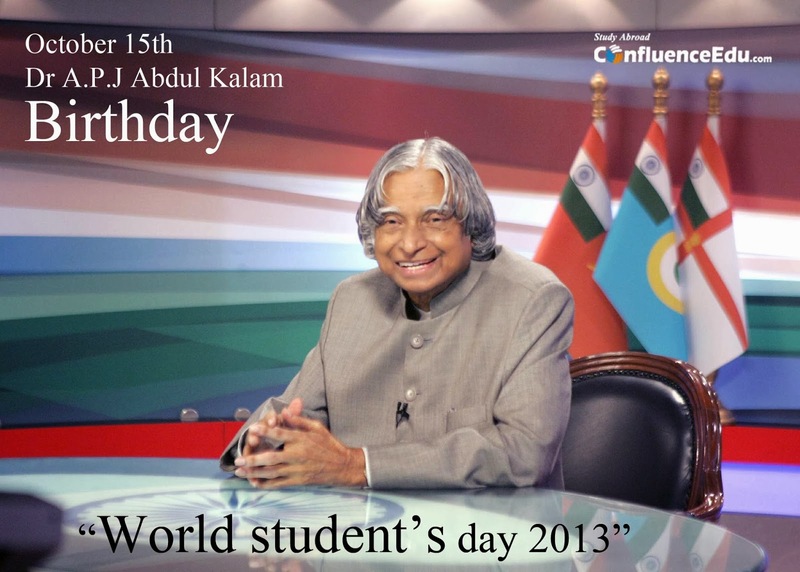 Beyond simple thanks & Happy birth day wishes to our great scientist, teacher, administrator,mentor,teacher and i can say overall an encyclopedia to all of us,particularly for students.In 2010 UNO declared his birth day 15th of October as "International Student's Day"
One of my student (off course became a great friend to me & well wisher for Confluence) MrSrihari Gk is flying tomorrow from Bangalore to Berlin for doing MSc Global Production Engineering @ TU Berlin. He is not a regular student, he did his engineering and 10 years experience in Good Rich Engineering (now http://utcaerospacesystems.com/Pages/Default.aspx) very courageous man to say good bye to Good Rich Engineering.He is leaving master Engineer @ home.Good luck Hari from all the tea members of Confluence Educational Services Pvt Ltd whole wholeheartedly. Greetings from Confluence Educational Services Pvt Ltd.
Every university will give scholarship and The University of Bolton Scholarship are beyond regular universities, so time to take the opportunity and move ahead. Greater Manchester between Manchester and Liverpool. 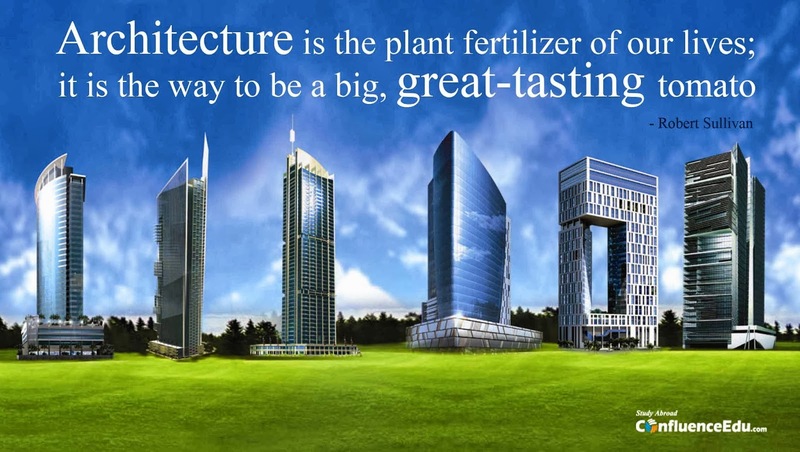 What we are enjoying today is feeling and touching every building, Great constructions across world was born thrice, one is in your mind and the same idea on applied on chart and finally in reality so without you, no world, no growth, no history. Time to honor your profession and creativity with our little capacity. As Jean Nouvel said "Each new situation requires a new Architecture" inspired us to reach BArch students and conduct Essay Competition about "How to build Green & Sustainable India? Pl write here in comment box. 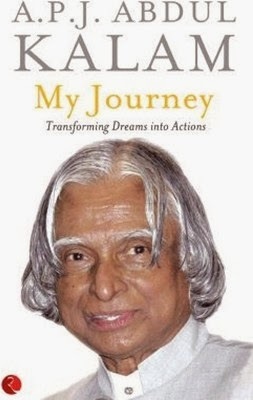 Its you landscape you can write your ideas in simple,short for new India. 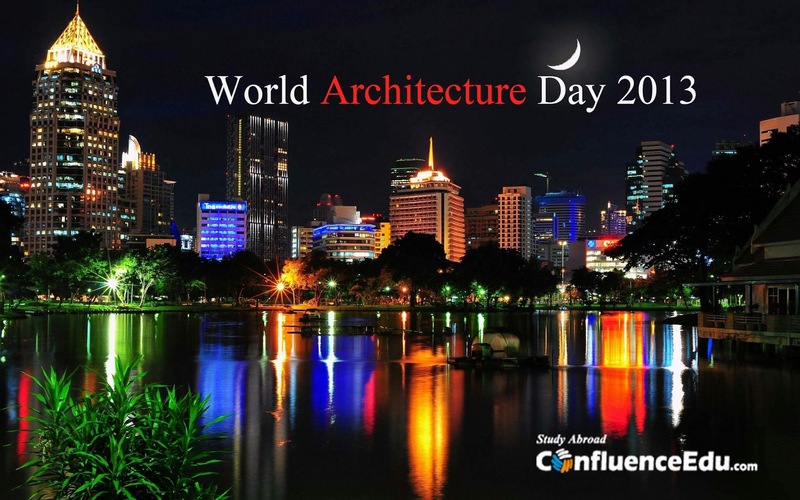 "Happy World Architecture Day 2013"
Tips: Follow your heart and write,don't follow others. 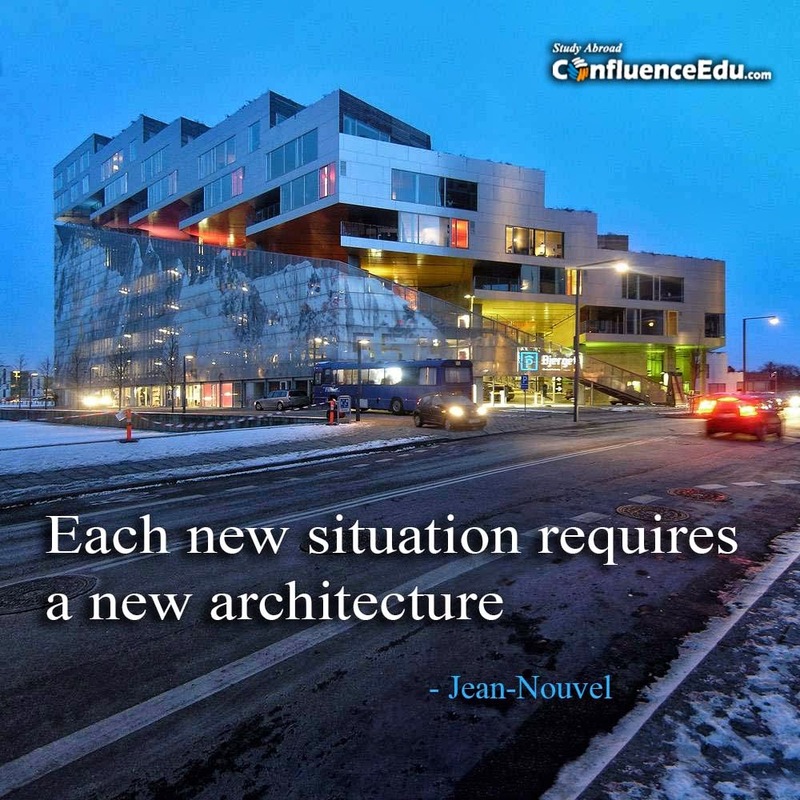 Greetings from Confluence Educational Services Pvt Ltd,India. 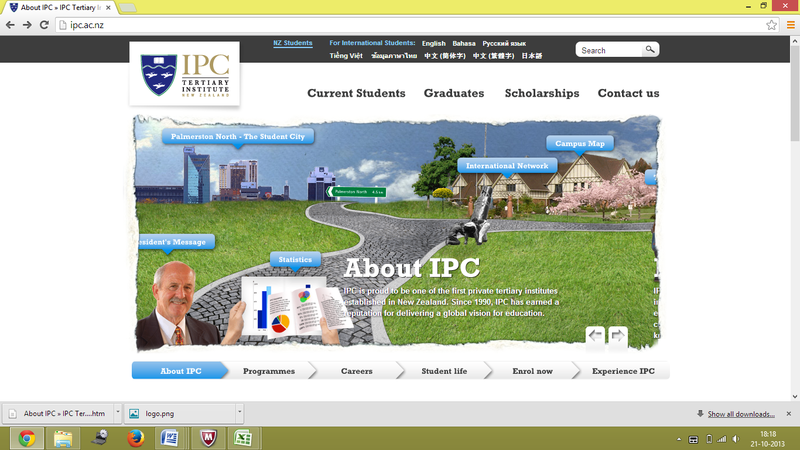 International students can now apply for UC degrees delivered in Melbourne and Brisbane starting in Semester 1 2014. Twelve UC Bachelor degrees are delivered at Holmesglen TAFE in Melbourne and two UC Bachelor degrees are delivered at Metropolitan South Institute of TAFE in Brisbane. 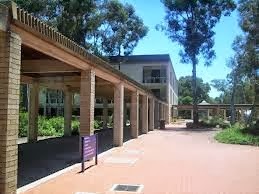 The academic and English proficiency requirements as well as the application process to the above courses are the same as University of Canberra courses in Canberra. 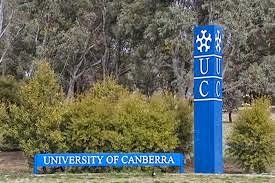 Please go to http://www.canberra.edu.au/student-services/applying-to-study/international for further information. Labels: Free Counseling and processing.